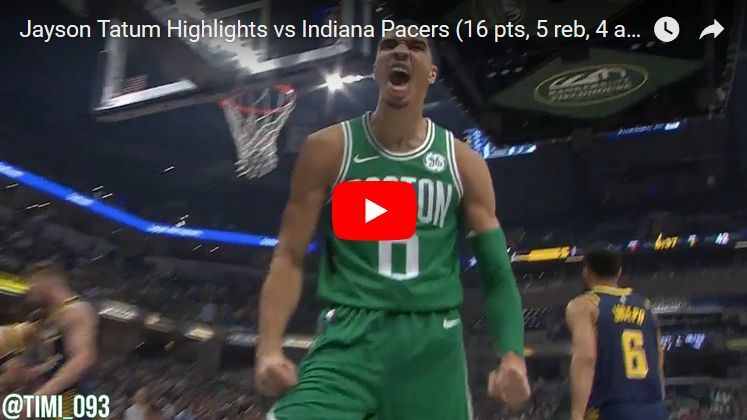 Kyrie Irving scored 30 points in just 29 minutes of play, including some clutch 3-pointers as the Celtics pulled out a miracle win over the Pacers with Terry Rozier stealing the ball late in the game and dunking a game-winner. Jayson Tatum added 16 points, five boards, four assists, two thunderous dunk and one big block. Al Horford once again was very close to a triple-double, posting 14 points to go with 10 rebounds and nine dimes. Marcus Smart shot 4-for-4 from behind the arc to score 15 points on the night, along with four rebounds and five assists. Yeah, that is not a typo! Smart hit all four 3-pointers he have taken in the first half of the Monday's game. Jaylen Brown chipped in with 13 points on his own, helping the Celtics to beat the Pacers for the second time this season. 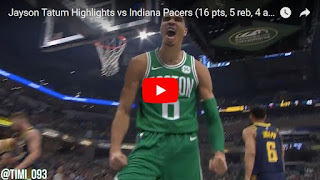 Thanks to Rozier and his clutch steal and dunk, Boston is unbeaten in Indianapolis.